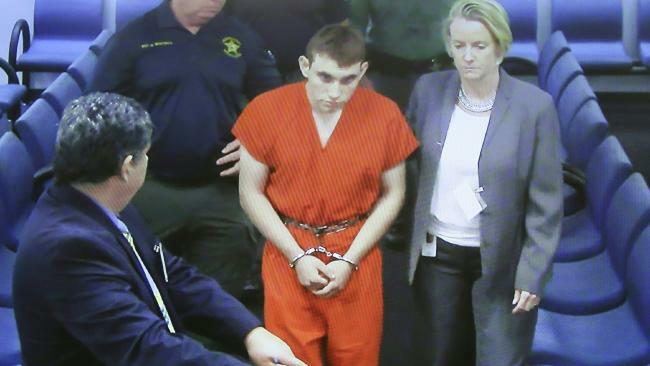 CONFESSED mass murderer Nikolas Cruz texted a friend minutes before allegedly going on a shooting rampage at his former Florida high school that he had "big" news - but added it was "nothing bad," according to a disturbing new report. Cruz sent the chilling text messages to the teenage son of the Snead family, which was housing the deranged 19-year-old before he allegedly shot 17 people dead using an AR-15 rifle at Parkland's Marjory Stoneman Douglas High School on Valentine's Day, the Palm Beach Post reported. According to the New York Post, the 17-year-old Snead received the messages while he was in class at Stoneman Douglas around 2pm - about 20 minutes before the massacre, Jim Lewis, an lawyer for the family, told the news outlet. Cruz first asked what class the teen son was in and who his teacher was, Lewis said. When the teen told Cruz his teacher was one of the coaches, Cruz asked him to ask the coach if he remembered Cruz. The coach was not among the dead. Minutes later, Cruz texted to say he was going to see a movie. He then "made some kind of comment that, 'I've got something big to tell you,'" Lewis told the Palm Beach Post. When the teen son questioned what the news was, Cruz replied: "No big deal. Nothing bad." Lewis said that by 2:18pm, the texting stopped and the last text Cruz sent was only the word "Yo," the report said. The Snead son texted back multiple times but never got a response - and then gunfire erupted. The lawyer told the newspaper that prior to the February 14 rampage, "There was nothing to give any clue that this was about to happen. "No bad feelings about anybody's school. No bad feelings about Douglas in general." 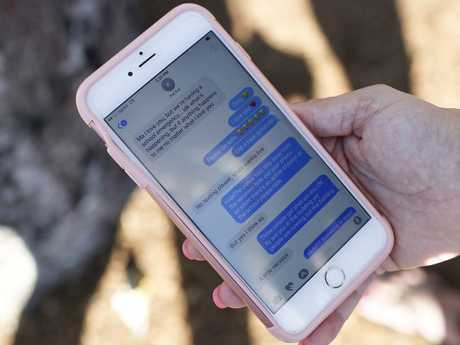 Lewis provided the Palm Beach Post with the details about the text messages on Wednesday - the same day Cruz was formally charged with 17 counts of first-degree murder. If convicted, the teen could face the death penalty. The Snead family took in Cruz after his mother died in November.